“Microphone check one two, what is this.” Wow. What a great film. I love documentaries but would never think that a film about one hip-hop group would be enjoyable. I heard so many great things about this film I had to check it out. It’s so good that while working in the garage today, instead of listening to music or pod casts, I had the film loop a few times while listening and watching here and there. And, it didn’t disappoint. Beats, Rhymes, and Life. The title speaks for itself. The movie is directed by Michael Rapaport who, after watching this film, seems to be a huge fan of the group (ATCQ) A Tribe Called Quest. 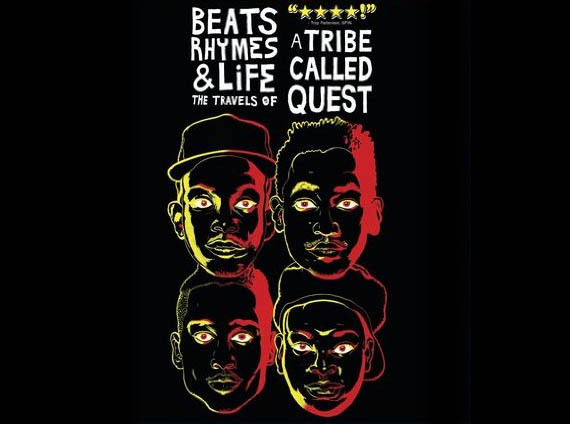 One would think that this film is all about the rise and demise of ATCQ but there is a lot more present. The film also focuses on how influential ATCQ was to the hip-hop game and how they changed the view of what hip-hop could be. Not just west coast gangster, political, diss record, or money, cash, hoes, fame type of music but also conscious hip hop where one could be diverse yet distinctive, gifted, and show their fans how to have fun. The film starts with the beginnings of how Q Tip (John Davis – Kamaal lbn John Fareed) and Pfife Dog (Malik Taylor) became friends from childhood later meeting with Jarobi White and Ali Shaheed Muhammad later in high school dabbling in the art of hip hop. Q Tips Sample finding and rhyming skills, accompanied by Pfife Dawg and Jarobi’s style, with DJ Ali’s musical talent they were soon noticed and discovered in the late 80’s with the help of legend DJ Red Alert. 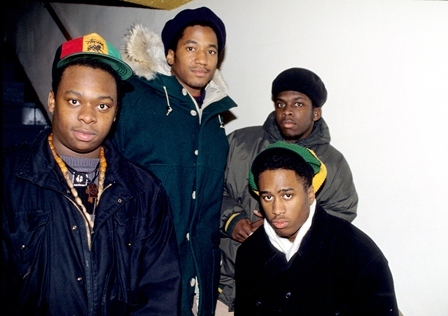 ATCQ was an influential part of a movement of hip hop differing from NWA and Public Enemy that brought a collaboration of acts including The Jungle Brothers, De La Soul, Monie Love, and Queen Latifah, as singular acts but, also known collectively as “The Native Tongues” for a short period of time. These groups also inspired artists like The Roots, Pharell, Kanye West, and Mos Def. The film builds as we see how the stress of being in a group and life itself can affect individuals that are together all the time. Issues range from Phife Dogs Diabetes and dislike of Q Tip’s bossiness, Q Tip’s stress as the front man and Jarobi’s departure to pursue his alternate dream. Unknowingly Rapaport gets a chance to film the group’s dysfunction as numerous arguments and disagreements break out throughout filming. Rapaport brilliantly manages to capture these situations on film, and also shows us how the groups actions negatively affect not only themselves but, their families, close friends, other hip hop groups, and their fans. 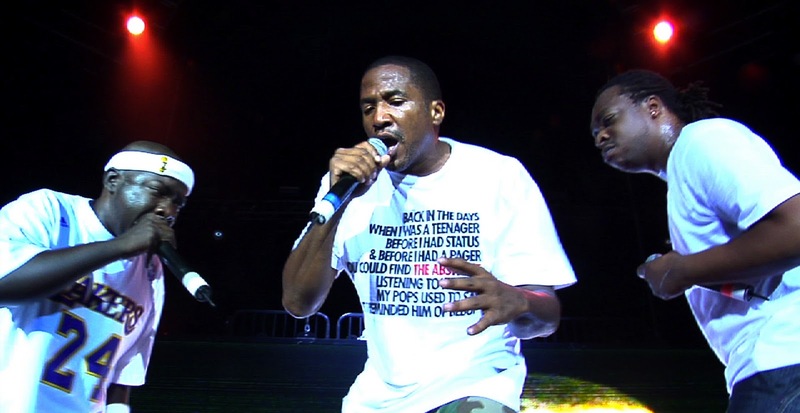 For example during one point of the film on the Rock The Bells Tour, members of De La Soul wish that their close friends ATCQ would either drop from the tour or resolve their differences. All in all, this documentary is filled with great music; great shots (Including the use of 3D photos) great commentary, and an awesome story of one of the best hip hop acts of all time. Whether you’re a fan of ATCQ, hip-hop, or music itself, this film is definitely a must see. Beats, Rhymes, and Life is available on DVD or Blu Ray. A trailer is linked below. Check it out.